The team is always going to be greater than the sum of its parts. We all benefit from PD in action all day every day. Creative and innovative organisations value strong team culture. Quality key relationships reinforce a culture of teams throughout the entire school – when a school’s leadership can work as an effective team themselves then this flows to the staff and then onto the students. At Northern Beaches Christian School (NBCS) the team-based approach to teaching has been essential to the highly successful cross-grade programs. 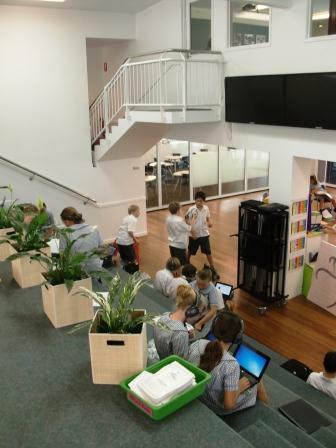 In Stage 3 (Years 5 and 6) 180 students and 6 teachers work in one space – for success in this type of program teams are essential. I have only been teaching for 2 years – so being able to work in a collaborative environment gives me an opportunity to see how other teachers teach. This has helped me with class management, questioning techniques, use of resources and many more aspects of teaching… The other thing that I have noticed is the rapport of the team. We all feel empowered to contribute to discussions and add our experiences. This in turn, role models team dynamics to the students. Teaching is not nearly as dynamic or fun when not in teams. I can get advice from my colleagues at any moment. Students have more than one teacher to relate to and with. 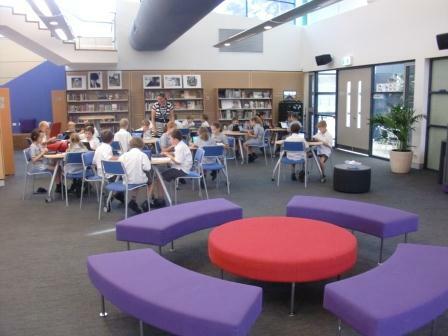 How much more fun we have when we bounce off each other in the learning space. Relationships are fundamental to human success. Working in teams models this to our students. Strengths and weaknesses come together while you teach in community. Teaching in a team eliminates stagnant ideas. You start with something and it has the opportunity to snowball, in the positive sense. Cooperative teaching is time consuming. Generally it is easier to prepare a lesson that you teach by yourself because you do not need to meet allocate roles and negotiate. 1. Prioritise interpersonal connection: Teams will work effectively and achieve greater results when the quality of the relationship is prioritised. When people work well together each other and seem to ‘get on’ there is a faster track to performing as a team. An effective team also respectfully addresses conflict in a timely way. Question: What needs to happen for your teams to connect? 2. Provide time for collaboration and planning: In the short term it may seem easier to default to one teacher for one class, but teachers are unable to model team-based culture to students, and the richness of ideas is not possible. A collaborative program requires time and as the saying goes, “time is money”. Yet, this investment pays dividends. In the experience of NBCS there has been significant provision of time (money) in the development of the program. Question: How do you facilitate the time for team collaboration? 3. Identified leadership: A team needs a leader. Whether a leader emerges, or is appointed, a leader is necessary. In the teaching-team the leader is essential to galvanise the group and keep the vision clear. The leader must prioritise both team-time and schedule one-on-ones. Question: What do you look for in a team leader? 4. Share expertise: It goes without saying that one of the greatest benefit of working as a team is sharing of ideas, expertise and experience. Too often we hear of educators who would rather keep this wealth of knowledge to themselves. This attitude is counter to the skills necessary in the 21st Century. Question: How do you encourage a culture of sharing? 5. Celebrate success: This is the fun part and makes all the effort worth it. The team makes the time to celebrate and there needs to be resources available for this. Random café onsite at NBCS provides a venue and refreshments where teams can meet over coffee, hot chocolate or even a chai latte. Question: What are some simple ways that your teams can celebrate success? Thanks so much for your feedback and I’m so glad you enjoyed it.. Just so you know, there are Austalian/British variations in spelling and we spell organisation with an ‘s’.